The Robin Boyd Foundation has appointed board member Tony Isaacson as Chairperson, taking over from Stephen Hare. Home / Development / The Robin Boyd Foundation has appointed board member Tony Isaacson as Chairperson, taking over from Stephen Hare. 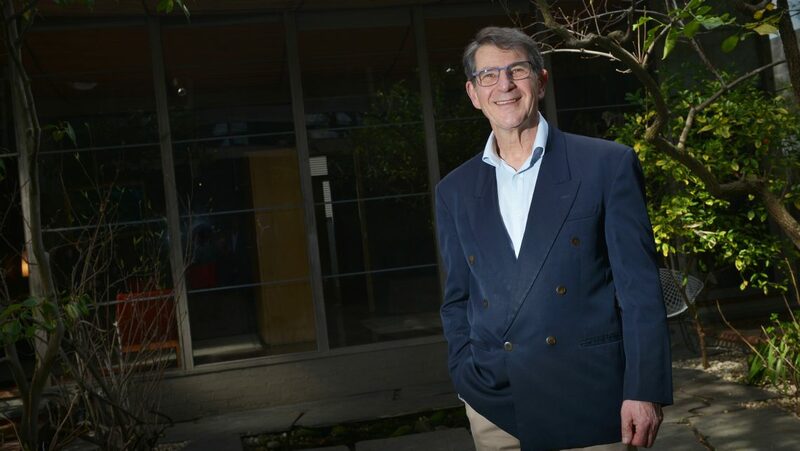 The Robin Boyd Foundation has appointed board member Tony Isaacson as Chairperson, taking over from Stephen Hare, who steps down after 14 years at the Foundation. Tony joined the Robin Boyd Foundation board after transitioning from his long-term role as Managing Director for Kane Constructions. His appointment is part of the new leadership for the Foundation. He brings to his new role proven leadership and experience of growing a well-credentialed company in the highly competitive construction sector, in addition to his expertise in management, construction technology and restoration. As the CEO of Victoria’s National Trust in 2004, Stephen Hare, with Tony Lee, persuaded the Trust Board to make its first and still only purchase of a property—Robin Boyd’s Walsh Street house—for transfer to the Robin Boyd Foundation. The modernist masterpiece and its inspiring character offered a pathway to smarter uses for heritage properties. The house continues to inspire Australia’s arts and cultural community today and has found active use as a research centre and educational studio incubator. Tony’s appointment as Chairperson follows P. Joy Villalino commencing as CEO of the Foundation in early September. The Robin Boyd Foundation aims to deepen public understanding of design awareness, literacy, and understanding of the legacy and design theories of seminal Australian architect Robin Boyd through public learning programs, open days, studio workshops and advocacy. In 2019, the Foundation will be partnering with several Melbourne and regional galleries and museums in a celebration of the centenary of the architect’s birth. The year-long celebration will include exhibitions and programming that highlight Robin Boyd’s historic and ongoing influence as one of Australia’s major contributors to architecture and design.